To build a population of well-educated, self-sufficient young people who can help build the community of Jalapa and the country of Nicaragua. Increase the percentage of Jalapa-area youth attending secondary and postsecondary schools. 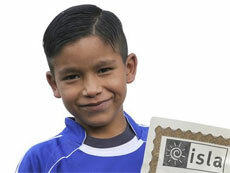 For only $150 per year you can send a young Nicaraguan to high school. Academically promising students who would be unable to attend school without financial support, are chosen by their 6th grade teachers and school directors. Your scholarship support pays for a student's school fees, supplies, and uniform. In return, scholarship students must maintain a superior grade point average over their 5 years of high school and mentor a child in their former primary school for at least 2 hours per week. A commitment to sponsor a student for five years is recommended but not required. 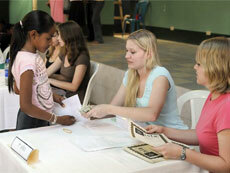 For $300 per year, you can support a child in a post-secondary college or university. 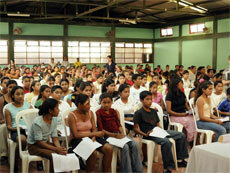 Continuing education beyond the high school level gives students a greater chance of succeeding in Nicaragua. Scholarship funds will cover all or part of their tuition, books and fees, depending on the cost of the institution they choose to attend. A 2-year commitment will give students a technical degree, enabling them to start working and a chance to continue their education towards a 4-year degree.